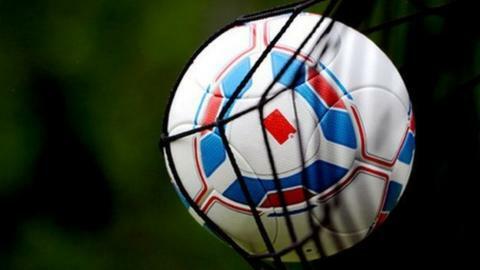 Jersey Scottish have won the island's Premiership without kicking a ball after St Paul's drew 2-2 with St Peter on Tuesday night. The Scots, who face St Ouen on Wednesday, have an unassailable seven-point lead at the top of the table with two games to go. St Paul's goals came from Jay Reid and a Gavin Toudic own goal as Phil Kendall and Beau Waugh scored for St Peter. Elsewhere, Rozel Rovers are relegated after losing 1-0 to St Brelade. Elliot Poole's late winner for St Brelade, who were reduced to nine men, means a second season in the top flight for last year's Championship winners. Goals from Ben Gallichan, Kamen Nafkha and Jamie Mourant ensured Jersey Wanderers consolidated third place as they beat already-relegated St Lawrence 3-0 at the Hockey Club. Meanwhile, Trinity completed a Championship league and cup double after beating second-placed St Clement 2-1 in the Touzel Trophy. But the eastern parish side pushed Trinity, who have won every match they have played against Championship opposition this season, into extra time. Logan McGhee gave Trinity a 39th minute lead before John Rutter equalised with 25 minutes to go. But Daryl Wilson's goal nine minutes into extra time sealed the win for Trinity.